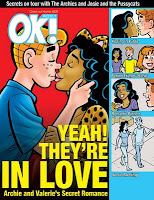 Friendly Neighborhood Comics Blog: ARCHIE'S NEW ROMANCE! 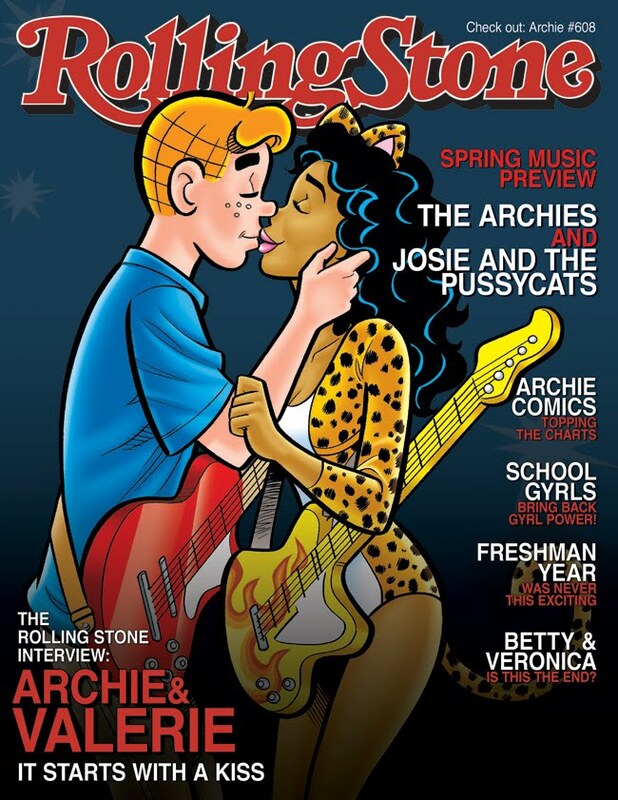 Archie Comics, home of world famous comic book bands The Archies and Josie and the Pussycats, is about to rock the world of romance! On April 21st the two bands hook up like never before! 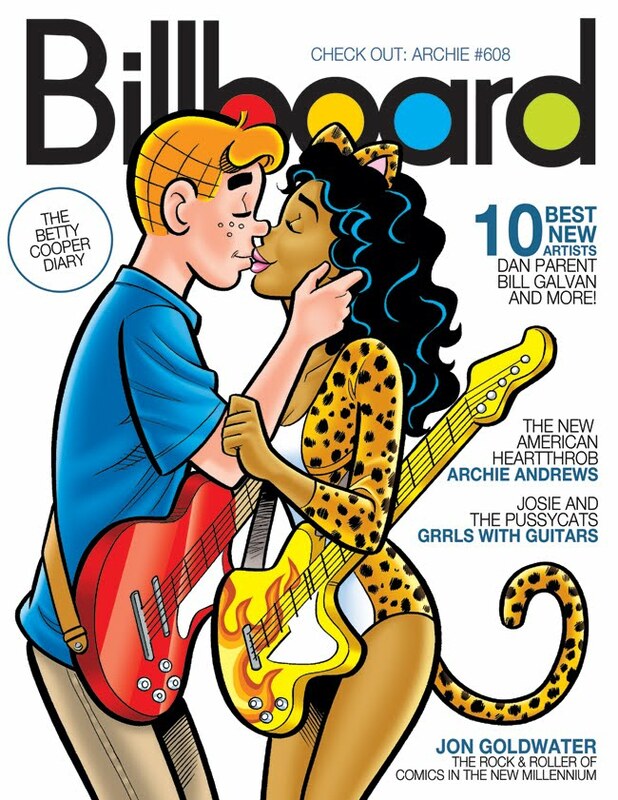 And now a new flame, Valerie, the super-bright and beautiful songwriter/bassist of Josie and the Pussycats, will play her way into the Archie love triangle. 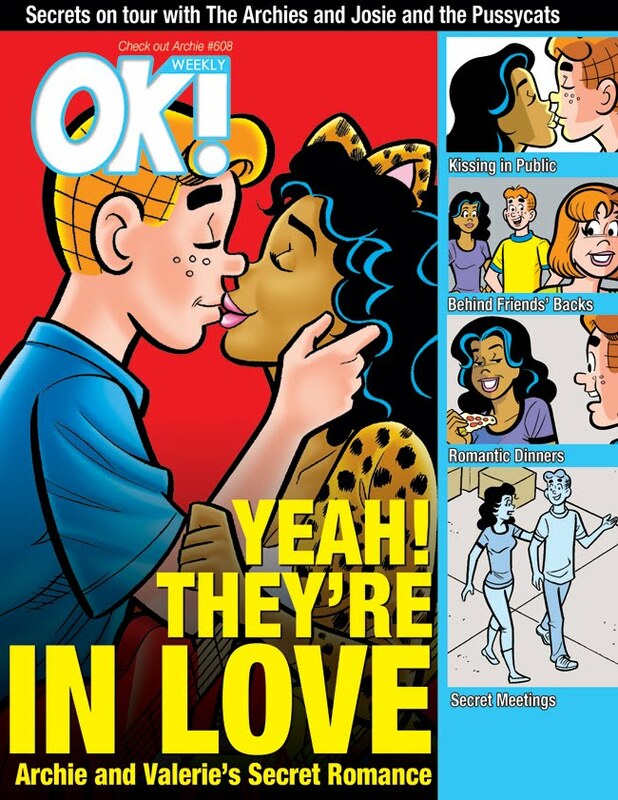 Archie's life-long struggle to choose between Betty and Veronica isn't the whole picture. There have always been other girls like Cheryl Blossom who interfere in the battle for Archie's heart. 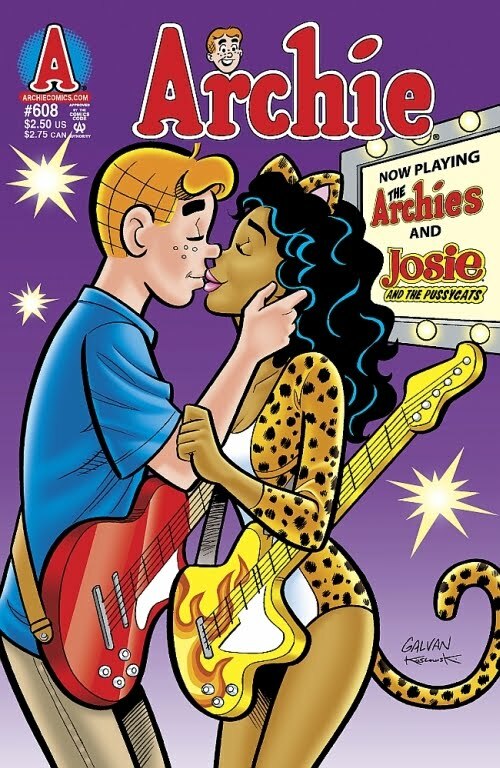 But something is different about Archie's secret romance with Valerie and it's about to change the course of affections. How long can the secrecy--and their love--last? 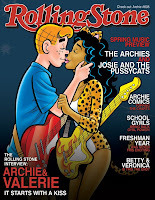 With The Archies and Josie and the Pussycats co-headlining their first tour together, things could get messy. A stage is hardly a place to hide, and when Betty and Veronica find out, it could be the end of Archie and Valerie's rockin' romance!